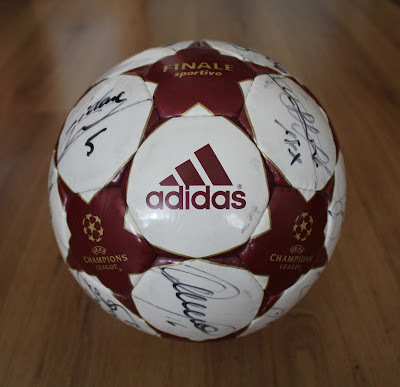 UCL ADIDAS FINALE 4 SIGNED BY REAL MADRID PLAYERS. 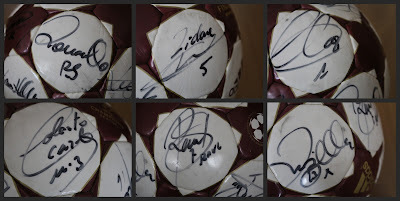 This is one of that things which you remember you have, but not where. 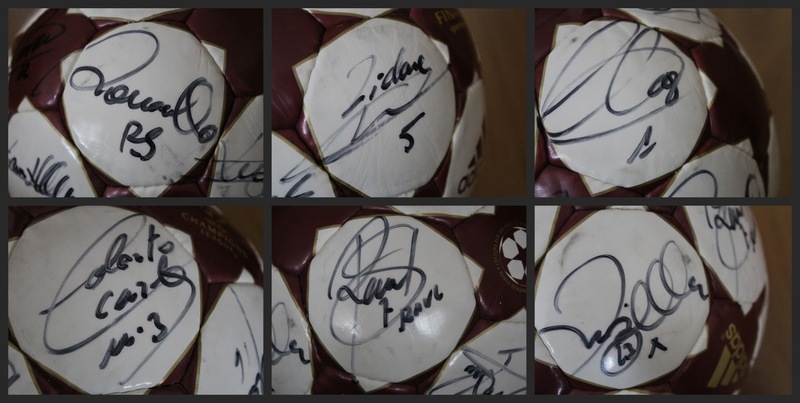 Mine was hidden in a basket full of toys (the other one, my brother's, was on a flowerpot in my terrace and some of the signatures have almost disappeared. You can see how the one in the right is a bit faded due to the sunlight), but despite that it's in good condition. 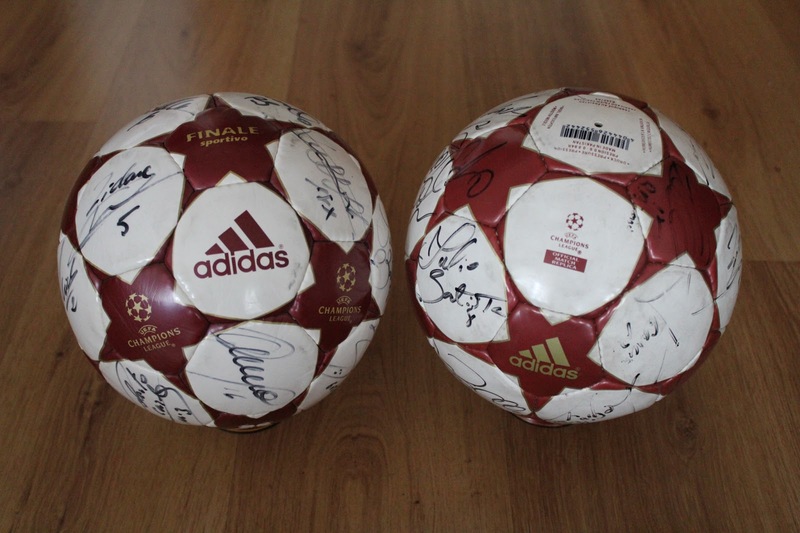 Today I remembered that my uncle brought us a pair of these signed footballs, as he knew someone in Real Madrid's coaching staff, so I cleaned and inflated them. The ball is from the 2004/05 season but it's signed by Real Madrid's squad in 2005/06 season. By the way, just purchased a limited edition Cameroon shirt for the World Cup 2010 from Classic Football Shirts. I'll post it soon!